Mason County maintains a strong business culture centered in manufacturing, agriculture, healthcare, energy, and entrepreneurship. Our business supportive infrastructure and abundant natural resources have drawn valuable economic opportunities to the area. Mason County has established itself as a family friendly community, which boasts economic stability. The cities, villages, townships and county work collaboratively to promote economic development focused on retention, expansion, and attraction of business and industry assets throughout the county. The Chamber works in collaboration with agencies, such as Mason County Growth Alliance, SCORE, Small Business Development Center, and West Shore Community College Business Opportunity Center, and more to ensure that local business owners have access to the support and resources necessary to thrive in Mason County. Mason County is fortunate to have government officials that are approachable, understanding and committed. Collaboration between the local government agencies and business owners creates a business-friendly environment, supporting growth and prosperity. Mason County understands that collaboration in economic development is essential. The cities, villages, townships and county have aligned to promote economic development focused on attraction, retention, expansion, and of business and industry assets throughout the county. 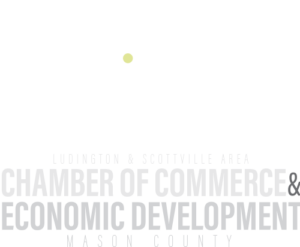 This unified purpose makes Mason County an ideal environment for new business development opportunities. Business growth and job creation occurs when businesses get the support, capital and resources they need to implement expansion plans. Within the State of Michigan numerous agencies exist to help you scale your business to great heights. 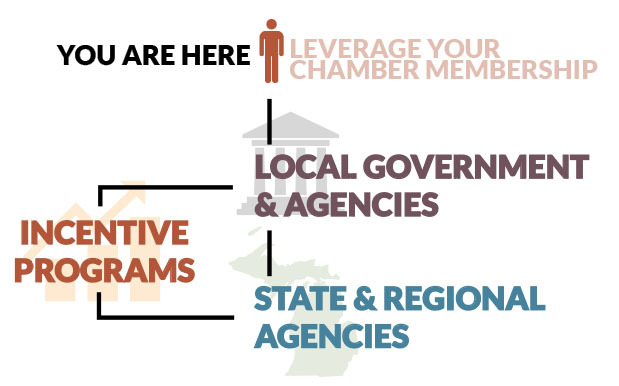 The West Michigan region is host to diverse agencies developed to attract and retain business in the region. From location services to workforce development you will find the support you need to build a strong foundation for your business whether big or small. In an ongoing effort to make the state a more attractive place for businesses to invest and grow, Michigan has created incentive opportunities for funding, tax abatement, and training.